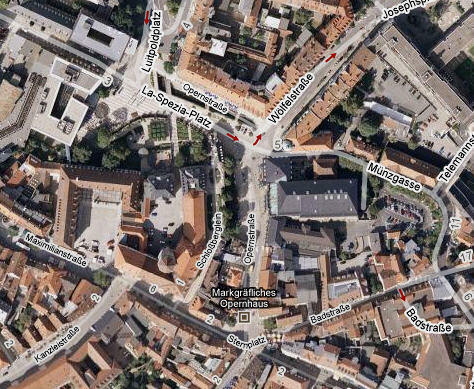 Regensburg (pop 131,000, 31.2 sq mi (80.76 km²)) sits at the junction of the Danube and Regen rivers and means "rain city." 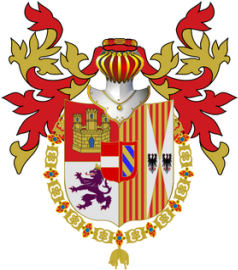 Its coat of arms is on the left. The Danube is the longest river of the European Union. In 179 AD, the Roman fort Castra Regina ("fortress by the river Regen") was built for Legio III Italica which was a Roman legion levied by Marcus Aurelius around 165 (coin of the Legion,) for his campaign against the Marcomanni tribe (see there territory on the map.) It was an important camp on the most northern point of the Danube. 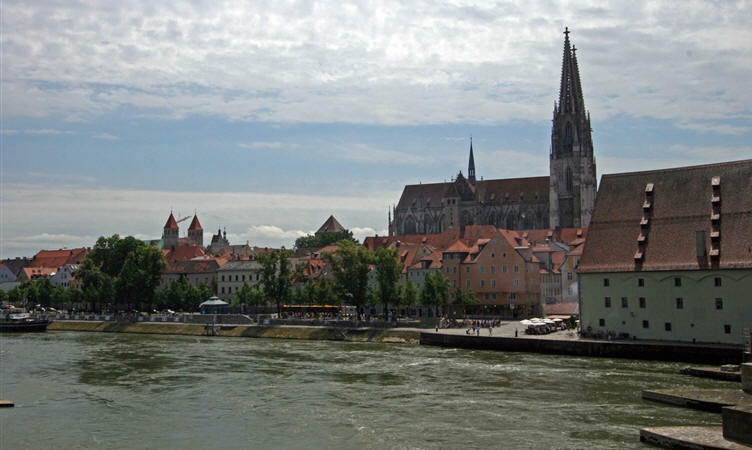 From the early 6th century, Regensburg was the seat of the Agilolfa ruling family, and in 843, it was the sea t of the Eastern Frankish ruler, Louis II. 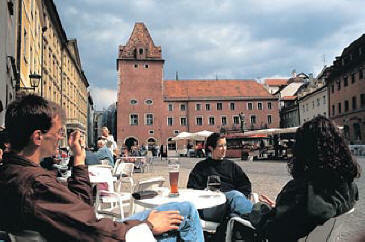 From about 530 to the first half of the 13th century, it was the capital of Bavaria. In 1245 Regensburg became a Free Imperial City in the late Middle Ages. 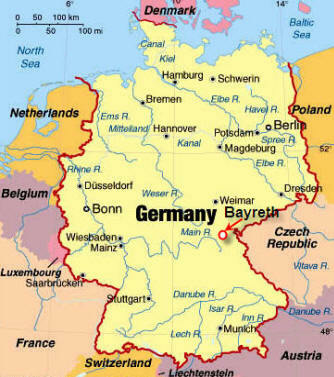 It became part of the Duchy of Bavaria in 1486, but its independence was restored by the Holy Roman Emperor in 1496. Today the economy is based on a BMW plant and a Siemans factory as well as the University. 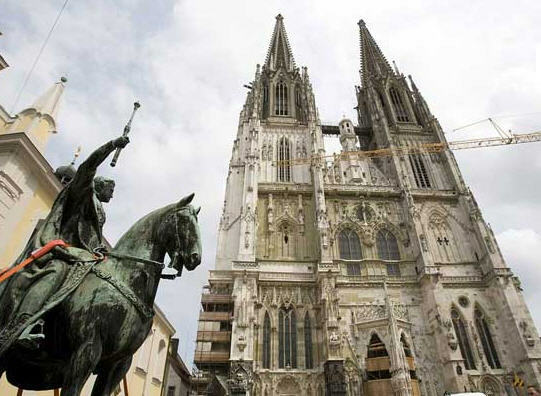 For more history of Regensburg click the name. The city is noted for the fact that the new Pope Benedict XVI (left) taught and was the Vice-President at Regensburg University (1969 to 1977.) Below (left to right) is the Pope, then with President Bush at his birthday party, then meeting with Russia's President Putin, followed by the Pope's personal coat of arms. 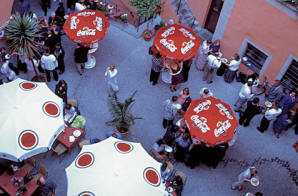 Regensburg has its famous Sausage House which has been here since the 12th Century. We also learned a useful word here; if you want ice cubes, ask for eiswürfen (ice-ver-fen.) Comes in very handy since Europeans seldom give you ice cubes in your drinks without asking for them. As you can see from the maps below, the Danube River (Donau) flows through the city of Regensburg joining the Regen from the north. WOW! After 10 days, this is the very first night since we landed in Europe that I have slept through the entire night without waking up. I woke at 8:30 AM, with a real intense dream. I finally got up at 10:15. As you can see below, we had a very lovely large room with king-size bed, a couch and a desk for a very reasonable price. I got into my running outfit and stepped outside to see our hotel. It sure is quite impressive and regal. And, it wasn't super expensive. By 11:10 I was on my run down this lovely street (above right) and entered this very nice park. I usually shy away from parks because I can see trees at home. I'd rather run through areas where I can see buildings and people. This park was really beautiful, however. I ran out of the park and then into the streets to arrive at the Schottenkirche St. Jacob. Below is a PhotoStitch of the Schottenportal. 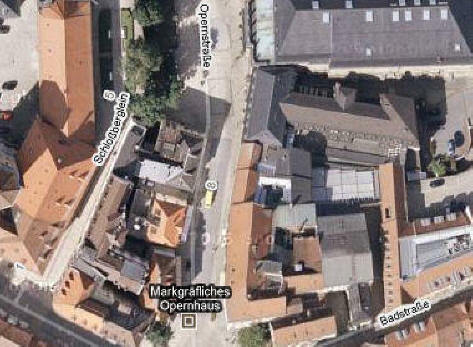 Below left is the graphic of the ancient façade of the church called the Schottenportal and on the right is a steel marker stating that the pilgrimage route to Santiago de Compestela in Spain is 1,681 miles (2,705 Km) from this church. See the Spain diarios for more on this famous and historic pilgrimage to St. James in Galicia in northwester Spain. I kept running and at 11:30, I arrived at the gate sentineled by the Jakobstor (Jacob's towers) with their cute little pedestrian passages that I ran through. At 11:35 I then came upon the Evanglican-Lutheran Dreieinigkeits Kirche (Church) which dates back to the early 1600s. The building is quite impressive. The interior was a little more sparse, as would be expected. At 11:40, I got to the main cathedral, the Dom St. Peter. As you can see, this is a huge, very impressive Dom. The city's Gothic Cathedral of St. Peter was built from 1274-1520 on the site of a large Romanesque church, some portions of which are integrated into the current structure. The spires and upper portions of the towers are 19th Century additions. When the cathedral was cleaned a numb er of years ago, it became possible to see two types of stone in the façade: a cream-colored limestone and a softer green sandstone that was used for repairs and additions in the 1800s. The green blocks are being replaced gradually with limestone (left) from the Czech Republic that matches the original material. 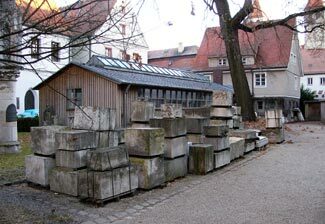 A workshop next to the Church of St. Ulrich is a staging area for the year-round maintenance of Regensburg's Cathedral. 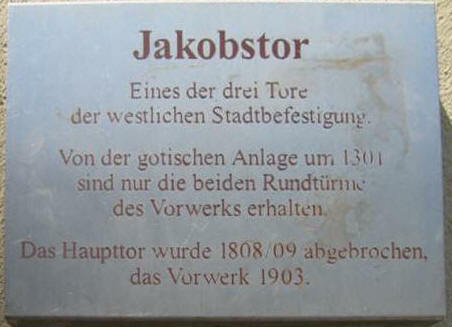 About a dozen stonemasons are employed full-time by the State of Bavaria. In Germany, the government owns and maintains church buildings; the church denominations own the sacramental furnishings and are in charge of religious matters. In front of the Dom is a memorial (Denkmal) to King (König) Ludwig I. Below are recent stock photos during its installation. At 11:50 I began to tour the Dom Museum. This church is famous for its relics of the German Saint, Wolfgang. If you have no interest in who he was, just scroll past the history below. 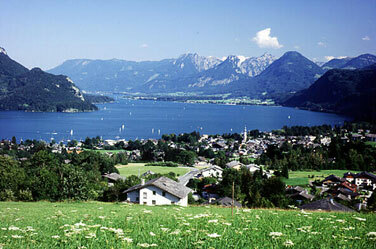 He was also very revered in Upper Austria especially in the areas around Wolfgangsee (Lake Wolfgang, left.) My interest in this saint is due to my close friend, Dr. Wolfgang Haigis of Würzburg, Germany. We will see him later. He was born in Swabia about the year 930. In his youth he was sent to the abbey of Reichenau, on an island in Lake Constance, which was a flourishing school of learning. here he became friendly with a young nobleman called Henry, brother of Poppo, the Bishop of Würzburg, who had set up a school in that city. Henry persuaded Wolfgang to accompany him to this new school, where his abilities soon provoked jealousy as well as admiration. In 956, Henry was elected arch­bishop of Trier, and took Wolfgang with him, making him a teacher in the cathedral school. There he came under the influence of the reformer monk, Ramuold. Upon the death of Henry in 964, Wolfgang became a Benedictine monk in the monastery of Einsiedeln, governed at that time by Gregory, an Englishman. The abbot soon appointed him director of the school of the monastery. 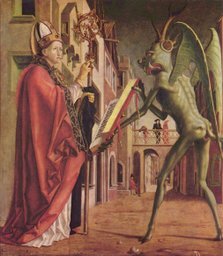 St Ulric (the Bishop of Augsburg) ordained St Wolfgang a priest; and with his ordination he received an apostolic missionary spirit, and was sent to preach the gospel to the Magyars in Pannonia (Hungary.) 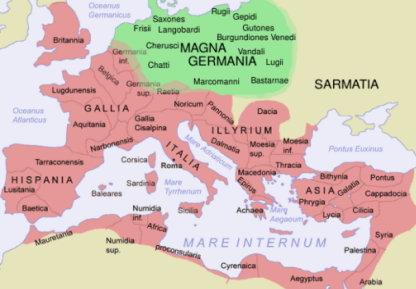 [It is interesting that in the year 1000, St. Stephen (King) converted the Hungarians to Catholicism.] Wolfgang was then recommended to the Emperor Otto II as a person qualified to fill the vacant see of Regensburg (Ratisbon.) He was conducted to the emperor at Frankfurt, who gave him the investiture of the temporalities, though Wolfgang entreated him to allow him to return to his monastery. he was consecrated in Regensburg on Christmas day 972 . St. Wolfgang never quit the monastic habit, and practiced all the austerities of that life while being Bishop. The first thing he did after regulation of his own household was to settle a thorough reformation among all his clergy, and in all the monasteries of his diocese, especially two disorderly nunneries. One of the sources of revenue of the see was the abbey of St Emmeram at Regensburg, which the bishops held with the usual bad results. Wolfgang restored its autonomy and called Ramuold from Trier to be its abbot. 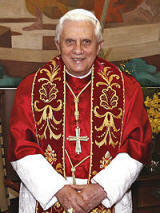 He was indefatigable in preaching and, being a man of prayer, possessing the art of touching the hearts of his listeners. He discharged the duties of his office with vigilance and fidelity for 22 years. Several miracles are recorded of him and his generosity to the poor was well known. Once, when the vintage had failed, some ignorant priests took to using water in the chalice at Mass. The bishop was naturally horrified, and distributed wine from his household stocks throughout the diocese. At one point St. Wolfgang deserted his post and retired to a solitary place, where he was found by some hunters and brought back. he attended several imperial diets as well as accompanying the emperor on a campaign into France. 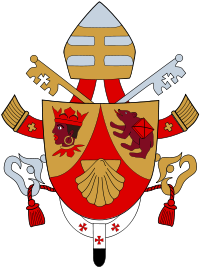 The territory of Bohemia (Czech Republic) was a part of his vast diocese. He gave up a part of it for a bishopric in that country, the see being set up at Prague. Henry, Duke of Bavaria, held St. Wolfgang in the highest regard, and entrusted to him the education of his son Henry, who later became the emperor and a canonized saint. Wolfgang was taken ill while traveling down the Danube into Lower Austria and died at a little place called Puppingen, not far from Linz. 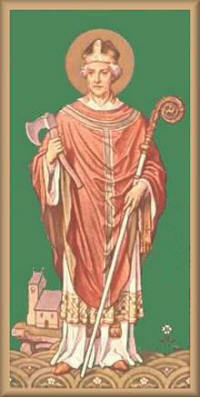 He was canonized in 1052 by Pope St. Leo IX (1049-1054.) The Canons Regular of the Lateran keeps his feast on October 31st in many dioceses of central Europe. Now back to the museum and the relics of St. Wolfgang. Below is a ceiling fresco and some of the reliquaries. It says "Reliquary tower for St. Wolfgang." It is from southern Germany in the middle of the 15th Century. They are made of Kupfer (copper,) gold and silver. It is usually very difficult to get a clear photograph of the relic itself buried in the center of the reliquary. But this time I was able to get a clear shot (below left) and an even clearer blowup (below right.) Unfortunately I don't know what part of Wolfgang the relic is. If someone knows, please email me. Below are additional items in the museum. I came across this large crucifix with a praying figure, perhaps St. Wolfgang. ...here is what it really looked like after I fixed it with my new free Photo software called GIMP [www.gimp.com.] It is of the crucifixion, with the Virgin Mary, Mary Magdalene and St. Peter to the left. As I stepped outside I caught this jet streaking overhead. Then at 12 noon, I went shopping and bought 2 pins and found a place to buy some batteries. Below is one of the few shots of me on one of my runs. At 12:30 I maneuvered my way through this archway in a wall into this charming little bier garten called Zum Augustiner [Neupfarrplatz 15, +49-(0)941-584-0455.] I really enjoyed relaxing here with a cappuccino and a water. It was delightful. Below is the map to find the place and a photo of their indoor dining room. At 1 PM, I got up and decided to tour the city. 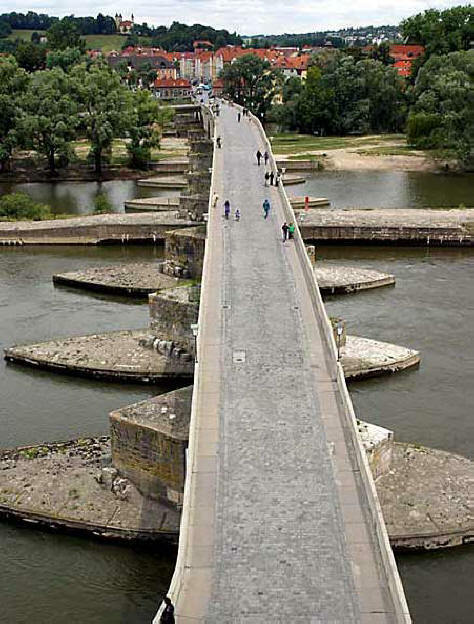 I headed for the ancient Stone Bridge over the Danube. Bicycles are very popular here. Above is a PhotoStitch compilation of the bridge. When standing on the bridge, below left is the view away from the old city and on the right is looking from the the city to enter a city gate to the bridge. 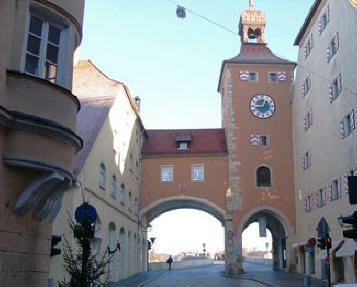 The gates in the Brückturm (bridge tower) (below) were the only way to reach the Steinerne Brücke (Stone Bridge) from the Altstadt until 1902. From the bridge, these are the views (below right) looking up and down the Danube. Above left is an aerial view of the bridge. The bridge's construction was financed by the city's merchants and began in 1135 and finished in 1146. It was a unique medieval feat of engineering, and for a long time it was the only walled Danube crossing between Ulm (see later) and Vienna. Below is a stock photo of the view from the bridge looking toward the Altstadt and the Dom St. Peter. The Historische Wurstküche ("historic sausage kitchen") [Thundorferstrasse 3, +49-(0)941-59098] is housed in a 900 year-old building (below) next to the stone bridge, which sells about 6000 sausages a day. The recent owners of the restaurant purchased it in 1806 from the Regensburg State authority and claim that documentary evidence exists to link the establishment back to the time when the bridge was built. 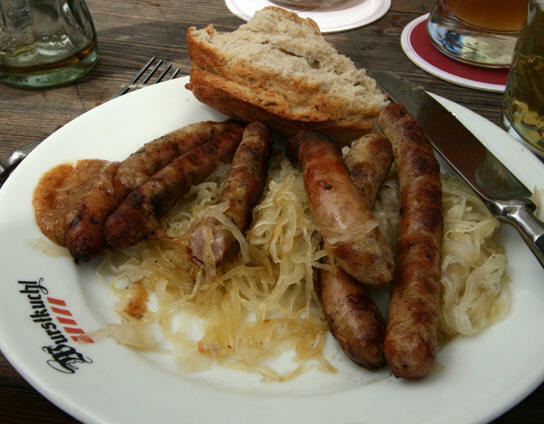 Even Mozart, in 1790, made his way to the ‘Wurstküche.' You can even order their fabulous wursts and special mustard online by clicking this logo: . A little German will help in doing this. Above right is the Salzstadel [Weiße-Lamm-Gasse 1, +49-(0)941-565-746.] Following are photos I shot along the Regen River which empties into the Danube. Then I came across St. Katharinen-Spital, which was an old hospital from the Middle Ages. It now houses a lively beer garden along the river bank. Getting back to the Dom area, the parish church just behind the Dom is the church of St. Ulrich which has a museum. Below is a medieval map of the city. St. Ulrich's is nice both inside and out. 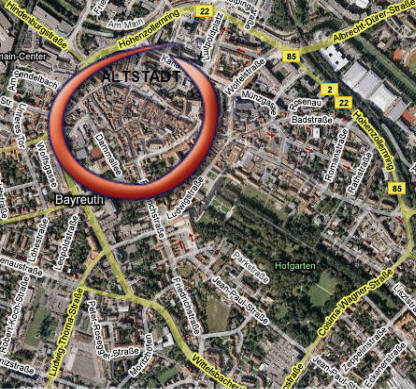 I sought out one of their more famous establishments, the Bischofshof, and came upon the Goliath-Haus building which dates from 1275. 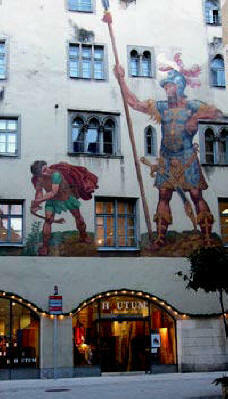 The David and Goliath fresco by Melchior Bocksberger in 1573 on the "Goliathhaus" is typical of the Biblical paintings that often adorned building façades in the 1500s. 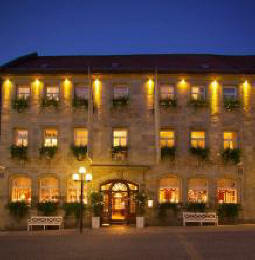 Below right is the front of the Bischofshof Hotel and Brauerei. Here is the interior of the Bischofshof restaurant in the Hotel Bischofshof [Krauterermarkt 3, +49-(0)941-584-60] which celebrated its 350th anniversary in 1999. It is a very fancy and expensive place to stay but they had a beautiful courtyard outside the restaurant. In the dining room, they had a display of photos of the various bishops as well as the recent popes. 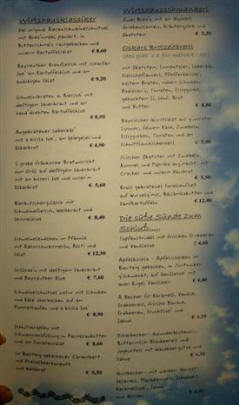 There window display showed a large selection of beers brewed by the Bischofshof's Brauerei (brewery.) Their bottle caps warn that you must be 16 to drink beer ("Bier? Sorry erst ab 16".) I didn't know "sorry" was a German word. 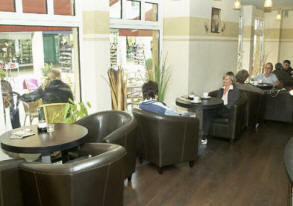 The bakeries (below left) and the outdoor cafes were very inviting. The window of a hat store and we found a real Spanish restaurant (El Cordobes, below center.) The well (below right) sits in an area by the wall and river. I got back to the hotel and we checked out at 2:40. The room was only €119 ($162) but they charged us €8 for parking. Not bad for the fabulous room we had. We left the car in their garage and went back into the city and at 3 PM we took the City Tour bus (below left) which cost €14. We don't often take these tour buses, but this was an exception. We wound up in the very last car which is the only one that did not have air conditioning and it was pretty warm. Here are some of the scenes we saw of this very beautiful city. Below is the Bismarkplatz with the stately Stadttheater (state theater) in the background. It is a pretty place to sit and relax in the park-like setting with the delightful fountain. 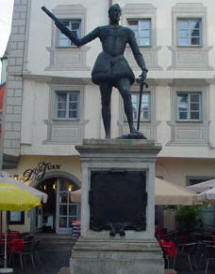 In this little platz I came upon this statue of Don Juan in front of a restaurant of the same name. Wonder why? Well, in 1546 there was a love affair during the Imperial Diet between the Holy Roman Emperor Karl V and Barbara Blomberg, a singer and the daughter of a Regensburg craftsman (burgher.) 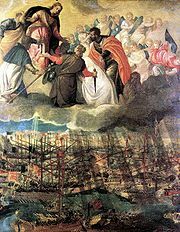 Their illegitimate son, Don Juan de Austria (1547-1578,) defeated the Turks in the famous naval battle of Lepanto in 1571. His life story is fascinating. 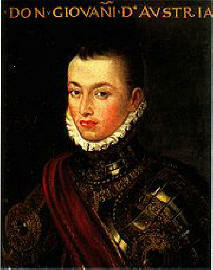 His half brother Philip became the King and accepted him as a brother. 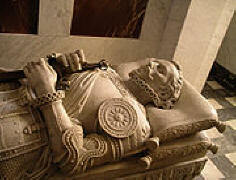 His portrait and coat of arms are below and his tomb in the Escorial near Madrid where all royalty was buried. 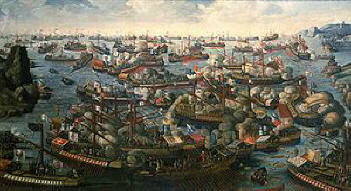 The battle of Lepanto was a huge turning point in stopping the advance of the Ottoman Empire (the Turks.) It was fought in the strait between the gulfs of Pátrai and Corinth, off Lepanto (Návpaktos), Greece. The Christians carried approximately 30,000 fighting men and were about evenly matched with the Ottoman fleet. 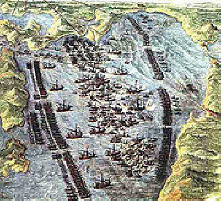 The battle ended with the virtual destruction of the Ottoman navy (except 40 galleys, with which Uluç Ali escaped.) Approximately 15,000 Turks were slain or captured, some 10,000 Christian galley slaves were liberated, and much booty was taken. The victors, however, lost over 7,000 men. Among the allied wounded was the author Cervantes (Don Quixote) (right) who lost the use of his left arm. The battle was decisive in the sense that an Ottoman victory probably would have made the Ottoman Empire supreme in the Mediterranean. 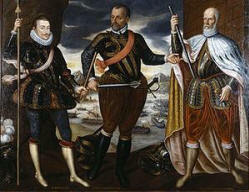 Above left is the painting of the battle by Paolo Veronese. Below (L-R) is a portrayal of the layout of the 500 ships engaged in the battle, a painting of the battle and an oil of the victors with Don Juan on the left. 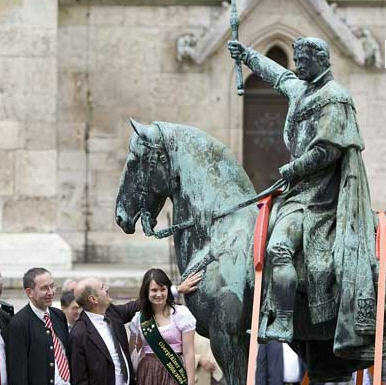 This is the reason we find a statue of Don Juan in Bavaria. As I kept wandering, it was obvious the city has maintained much of its medieval charm. I also learned that, after falling severely ill, the astronomer Johannes Kepler (left) died in Regensburg at the age of 58 on November 15, 1630, and was buried there but his burial site was lost after the army of Swedish King, Gustavus Adolphus (right) destroyed the churchyard in 1632 during the Thirty Years War. He was a long way from home. ...and you can see how narrow some of them are, reminding me of Italy. 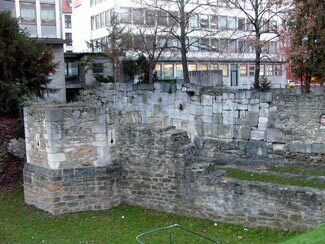 Regensburg still has a few remnants of Castra Regina, the fortified military camp that emperor Marcus Aurelius built along the Danube (then the northern edge of the Roman Empire) in 179 AD. This section of the Roman wall (stock photo, above center) is just to the east of Maxmilianstraβe as you approach the Altstadt from the railway station. Above right is a brick wall built upon the old Roman wall remnants, a photo I took. We got off the bus and at 3:45, and I had a cappuccino and some water at the Haus Heuport [Domplatz 7, +49-(0)941-599-9297] right near the Dom, while Marcia (believe it or not) had a Whopper at Burger King which wasn't cheap at €5.39. It was finally time to go. This was a beautiful and historic city that we would recommend for an extended visit. But we have a lot more to see. At 5 PM we got the car from the hotel garage and at 5:25 we stopped at a McDonalds and had chicken nuggets and water for €5.85. At 5:35 we finally took off from Regensburg and I drove the 100 miles to Bayreuth which is pronounced "Buy-roit." We had to drive northwest toward Nürnberg and then northeast to get there using the Autobahns. 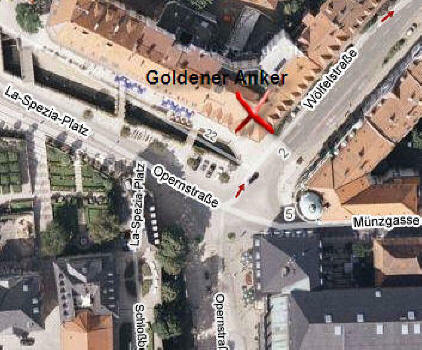 It didn't take long and we arrived at 7 PM and Phillip helped us check into the Goldener Anker Hotel (Rm #18) [Opernstraße 6, +49-(0)921-65051.] It is a majestic old building and very warm inside. 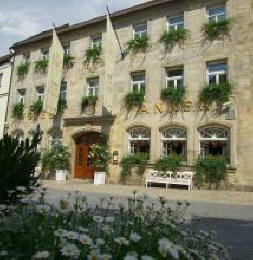 Below is the street Opernstrasse (left) and to the right is the building the hotel is. Here are some stock photos the hotel puts out; left during the day and at night. 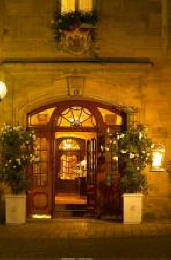 The hotel was built out of the same margravial sand stone as the nearby, world-famous Bibiena opera-house. 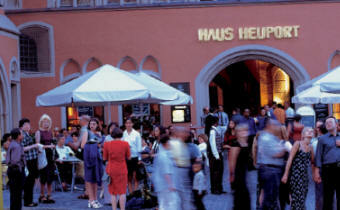 In the 16th Century, the people of Bayreuth enjoyed the hospitality and the good beer of "the house on Opera street." 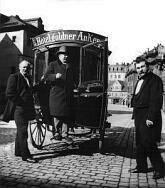 It was started by the Köhler family who can be traced back to the year 1500. 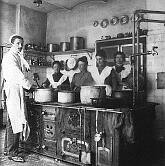 They were given the rights to open a brewery and guest-house. It has stayed in this family all these years, though the names have changed through marriages. Below is the scene out the window of our hotel room. At 7:45 we walked around a little and we stopped into Louis Bar Café Bistro (left, right and below) [Ludwigstraße 1, +49- (0)921-786-6866.] I had a Maisel's Weisse light beer and Marcia had a Weißweinschorle (wine.) It was confirmed again how much I really dislike weißbier. When I stick my nose in the glass to drink it, all I smell is smoked bacon and its terrible. I know many people like it but not me. This will continue to cause problems on the rest of the trip. The curvy glass (below right) was very interesting but I was not able to get one. At 8:00 we got up and wandered down the bendy little streets on our usually restaurant walk. 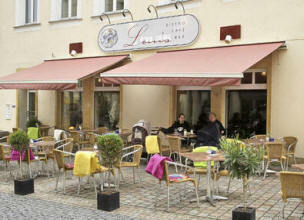 We came across several interesting lively places with very charming outdoor patios. It was obvious everyone was out having a good time. After walking all around and sizing up all the places to eat, at 8:45 we settled on having dinner at Das Oskar Wirthaus am Markt [Maximilianstraße 33, +49-(0)921-516-0553.] 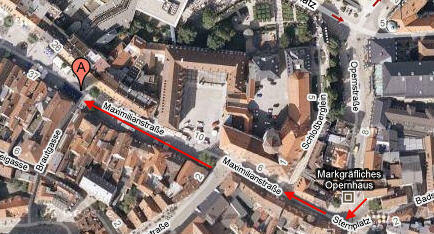 Photo below is map of walk from hotel to Oskars. We sat and enjoyed the ambience of a true Bavarian pub. But not everyone here was a local. We struck up a conversation with the couple seated next to us (below right.) Lucas Schütz (on the right) is from the city of Bonn (the old capital) and Sarah (left) is from Düßeldorf, both cities quite far west. They were very nice. I noticed him relishing a plate of Schweinhochsen (Pork knuckle) and he told me he comes specifically to Bavaria to eat this. That peaked my curiosity because, otherwise I never would think of ordering it. More about that in the weeks to come. Thanks Lucas & Sarah. The young lady on the left was beginning to appreciate Germany. 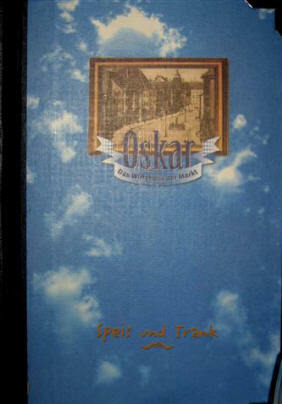 The inside of Oskar's was busy as well and the interior decorations were certainly original with all the leaves hanging from the cieling. We finally got to perusing their menu and decided to stay on the safe side with items we were familiar with. Our waiter Sven was quite helpful. We finished up an excellent meal and at 11:15 we walked back to the hotel. We were surprised to find a Subway fast-food outlet here. I was able to get on the internet and do email and download Rush for tomorrow's run. I got to bed at 2 AM.